Aileen Kruidenier’s Irish grandmother, Eileen, was sick with cancer and in hospice care when she began painting glorious pictures based on her memories and experiences. 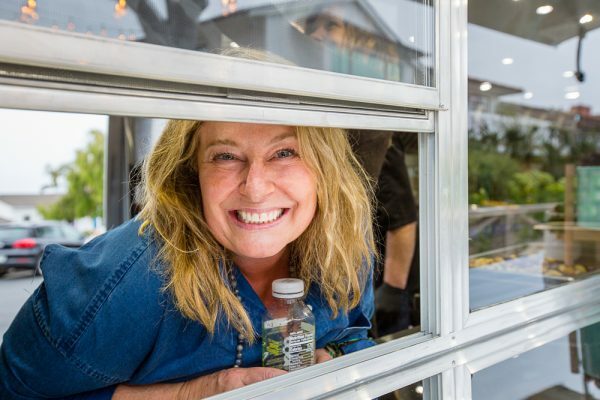 Kruidenier knew the time was right in 2013 when the Laguna Beach resident was diagnosed with Lyme disease. That lifestyle included raising two young boys, so she was concerned with keeping her family on a healthy diet. 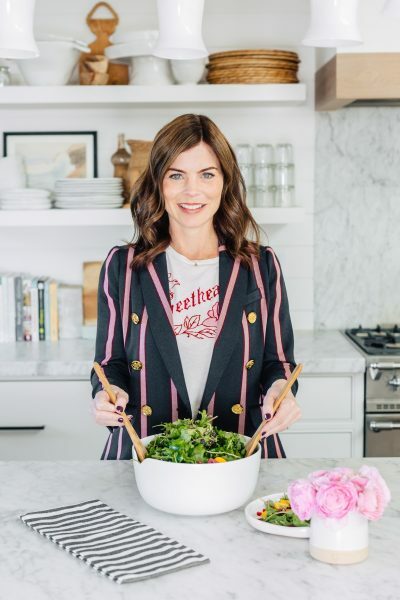 Kruidenier began studying nutrition in earnest and creating recipes. Customers line up at a recent Ecology Center event in San Juan Capistrano. Intent on sharing her passion for healthy cuisine, Kruidenier hit upon the concept of bringing her recipes to the public via a 30-foot airstream trailer that has been renovated and equipped with a full size commercial kitchen. Kruidenier calls her new business Eilo’s Kitchen, named for her late grandmother, who was known as Eilo. 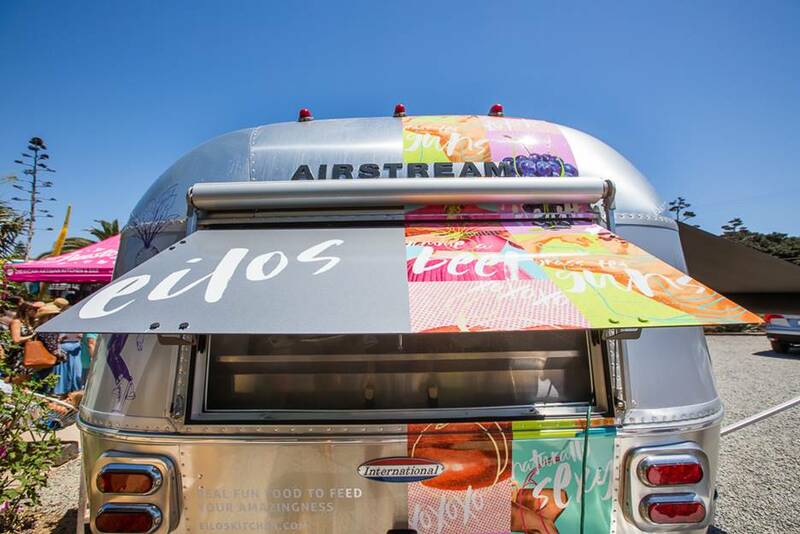 It is one of the first full-sized commercial kitchen to operate in an Airstream in the state. Chef Cathy McKnight in the window of Eilo’s Kitchen. 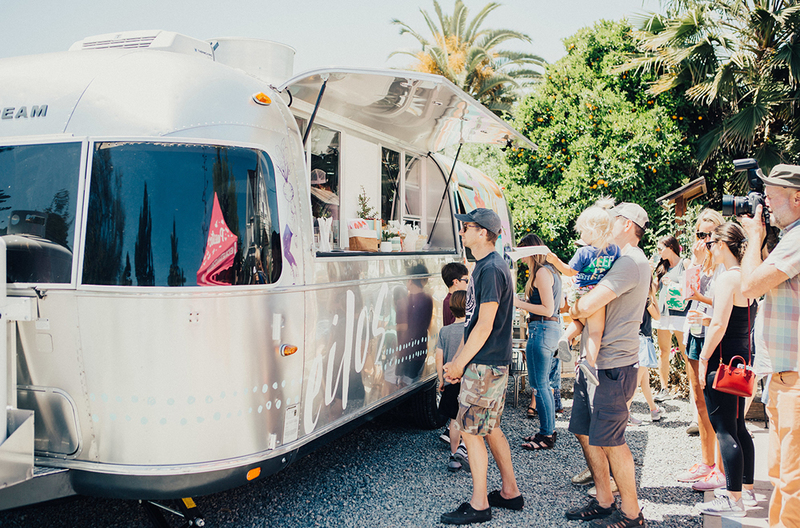 Kruidenier’s first public test of Eilo’s Kitchen was in April on Earth Day at the Ecology Center in San Juan Capistrano, which supports creative solutions to improve the environment. The test proved a success and now Eilo’s Kitchen is scheduled to set up at the Ecology Center the first Sunday of every month from 10 a.m. to 3 p.m.
They’re also testing a location in a Corona del Mar parking lot at 2101 E. Coast Highway at Avocado Avenue where they’ll fire up the grill every Thursday from 10 a.m. to 2 p.m.
Kruidenier said her main business is catering weddings and parties, although there are a few spots in the hills above Laguna Beach that are difficult to access with an Airstream.